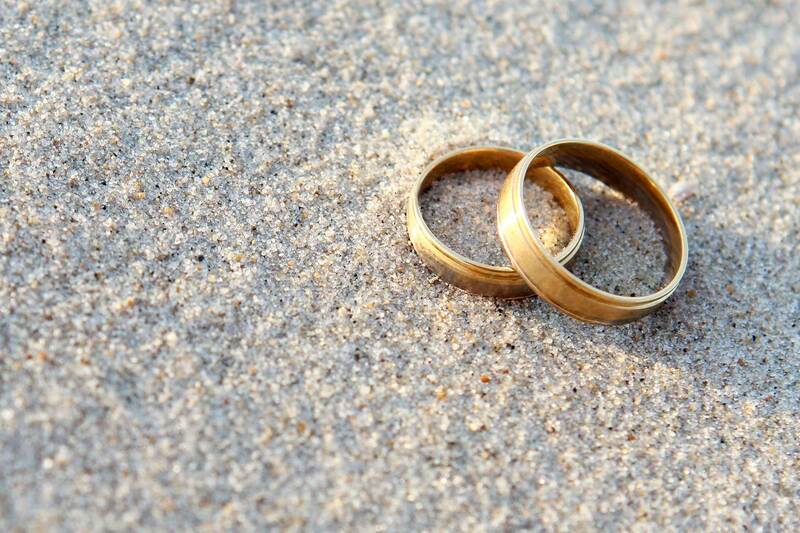 Couples wishing to get married in Puerto Rico must obtain a Marriage License from the Demographic Registry office. There is no waiting period. The most convenient office is located in the third floor of Plaza Las Américas Mall (525 Avenida Franklin Delano Roosevelt, San Juan, 00918, Puerto Rico). The office is open from Monday to Saturday from 9am-9pm and on Sunday from 11am-7pm. You can call to schedule an appointment, call toll-free 1-800-866-7827 (from the United States or Puerto Rico) or 1-800-981-7575 (from Latin America). Valid photo identification issued by the government of the country, or state, where he/she lives in (e.g. driver's license, passport or state ID Foreigners must present a valid passport, visa or green card). Note: The affidavit must be written by a lawyer, Notary Public or other person authorized to administer paths in that country. This declaration must accompany the application. Medical certification that meets all the tests required for marriage in their place of residence. Such certificate will be valid for a period of ten (10) days from their expedition. After 10 days, the couple will have to get a new certification to get married. If you are a Puerto Rican resident, blood and urine test are required. These include tests for Syphilis, Chlamydia, and Gonorrhea and it must be conducted by a Puerto Rican physician or Federally Certified Laboratory. If you test positive for one of these diseases, you will need to show that you are under a doctor's care and treatment. Bring original results since copies are not valid. The cost for the laboratory test in Puerto Rico ranges from $66 to $70 per person. If you are not a Puerto Rican resident you do not have to take the blood test, however you will need to provide a sworn statement that you are not a Puerto Rican resident. Internal Revenue Stamp of $20.00 from the Puerto Rico Government. Birth certificate copies (the names of the parties shall be recorded as they appear on the certificate). Spouse's death decree (if applicable). The registrar shall examine all documents, if in compliance; the marriage certificate will be issued and signed. Anyone under 21 must be accompanied by a parent. For the last and final step, make sure the priest/minister or judge who officiates the wedding deliver the certificate, marriage license and all other documents to the Demographic Registry of the municipality where the ceremony took place no more than 10 days after the marriage. The couple must review all these documents, sign all sections of the marriage certificate using permanent black or blue ink, or typewriter (not with a ball point pen), and officiate at the ceremony. For more information contact the Dept. of Health, Demographic Registry Office, Box 11854, Fernandez Juncos Station, Santurce, PR 00910 (allow 2 months) or call (787) 728-7980. Source: Requirements for Marriage, Commonwealth of Puerto Rico, Health Department - Demographic Registry, October 2010. Eight major rivers originates in El Yunque and supplies water to 20% of the island's population.